The National Cancer Institute (NCI) of the National Institutes of Health has awarded a new four-year grant of more than $1.6 million to Beckman researchers for the development of innovative cancer imaging. 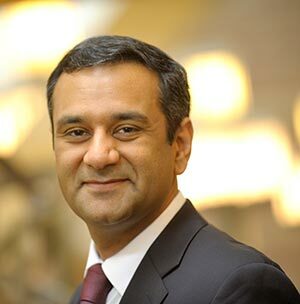 Researchers in the lab of Rohit Bhargava, professor of bioengineering and member of Beckman’s Bioimaging Science and Technology Group, have proposed a new imaging method to determine the risk of lethal prostate cancer upon initial diagnosis. The project, “3D Prostate Histochemometry to Predict Disease Recurrence,” has been awarded $1,606,899 over four years by the National Cancer Institute (NCI) of the National Institutes of Health. Using the newly developed chemical imaging technology, in combination with an examination of the tumor microenvironment, the study will compare the results with existing standards in order to predict the chance of recurrent prostate cancer.